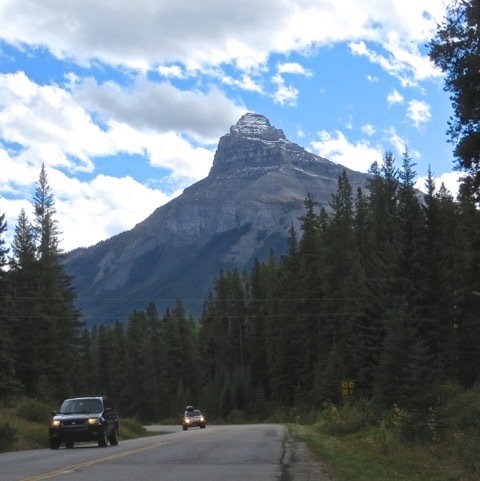 Driving through Canada in a transcontinental trip, we spent a couple of days in Banff National Park. 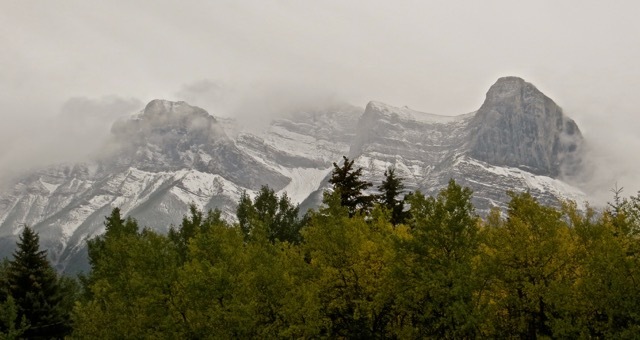 It was early autumn and some of the peaks were already shrouded in snow. The day started with overcast, rendering the scenery misty and obscure. We were afraid we would miss the best views. Fortunately, clouds dissipated to reveal jagged, rocky peaks. We left the highway to drive on a twisty country road. 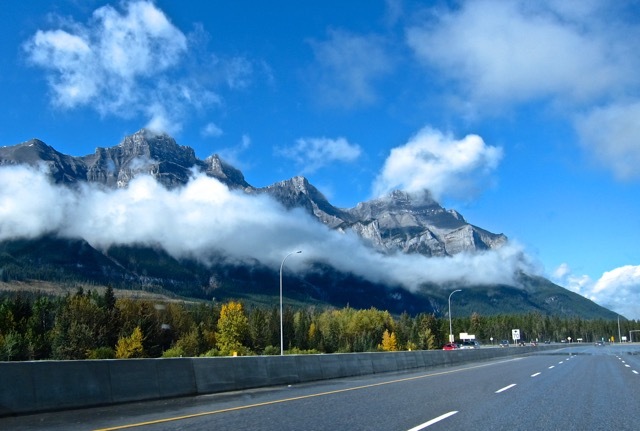 Driving slowly, we could view the beautiful mountain in leisure. 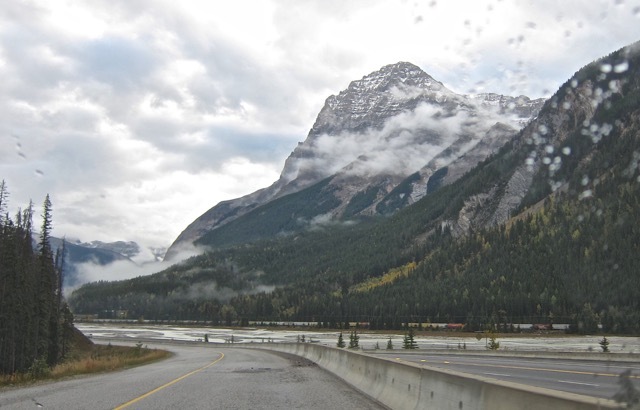 The snow appeared in stages, covering higher peaks while sparing lower mountainsides. 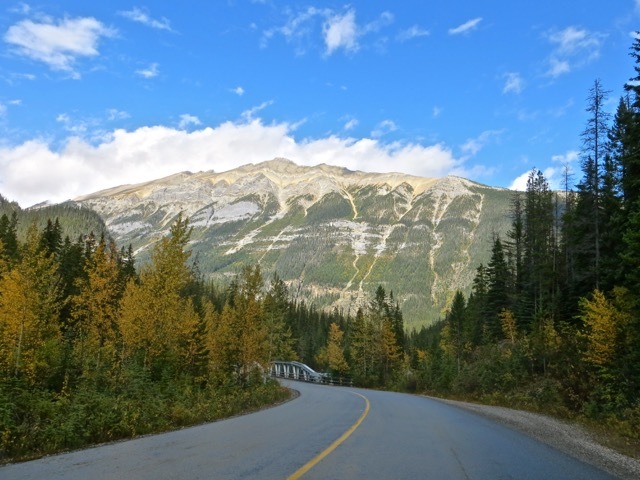 Every turn of the road revealed another spectacular view. This mass of raw rocks presided over a carpet of pine trees. Distant mountain peaks were mostly rocks without vegetation cover. The name Rocky Mountain is an apt description. Trails of rock falls plowed through the forest on a mountainside. 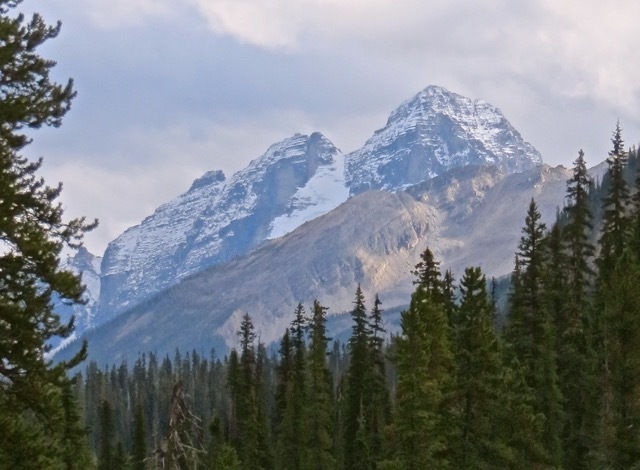 The Rockies is about 50 million years old, thrusted up due to plate tectonic activities. 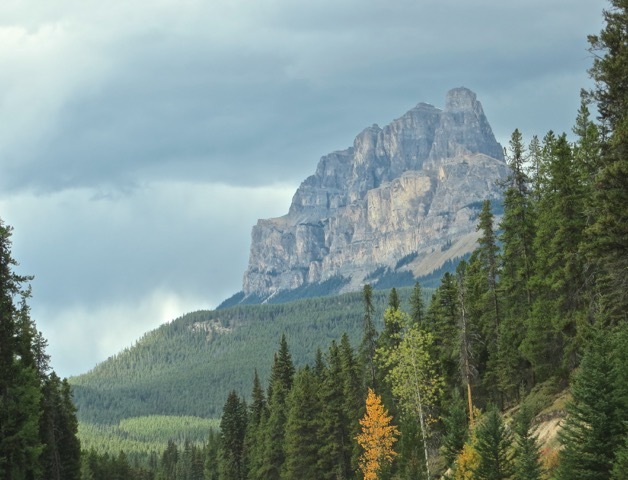 These young rocky mountains are still being carved by weathering and erosion, giving them rugged craggy shapes. 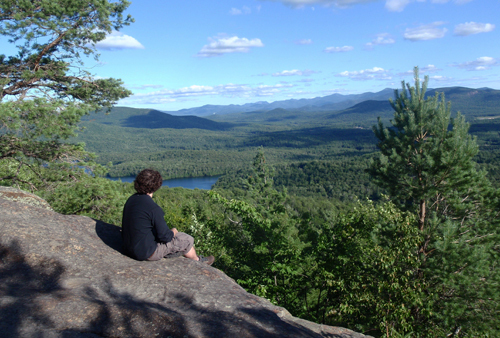 By contrast, the Adirondack Mountains of New York State are a little older at 100 million years old. 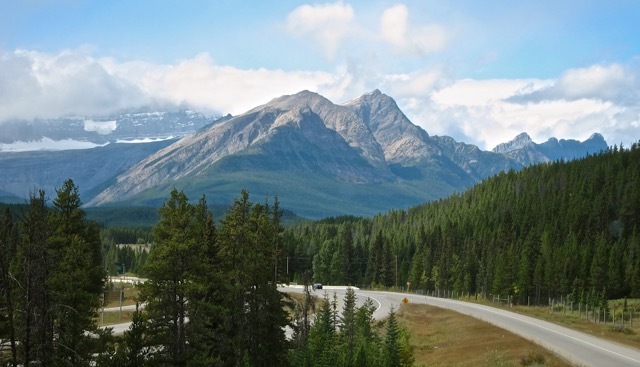 These older mountains have been worn down more and have become rounded with moderately undulating landscape. 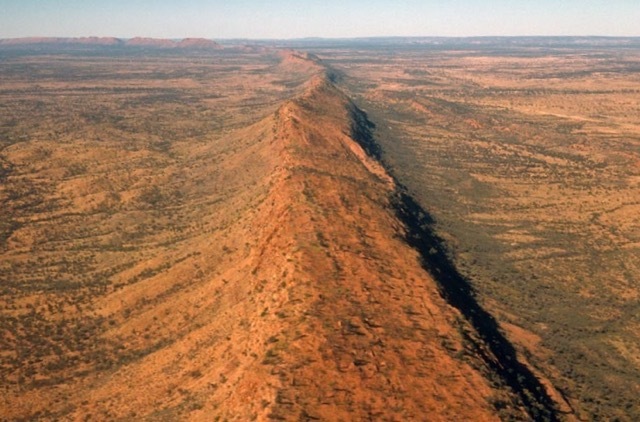 Australia is much older geologically at 3,000 million years old, nearly as old as the Earth. Almost all its mountains have been eroded away and the continent is one flat land. 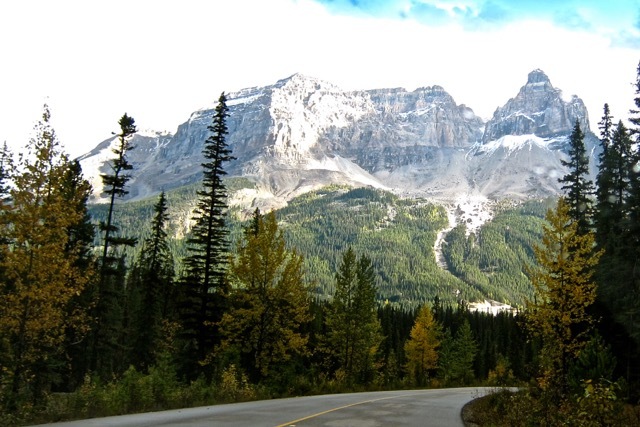 In time, the Canadian Rockies may look like this. We are glad we get to see it before that happens. All day long, we feasted our eyes on spectacular sceneries. Other locales would be proud to feature any one of these peaks as their main tourist attraction. Yet, we saw an endless parade of such beauties. One unusual scene caught our eyes. 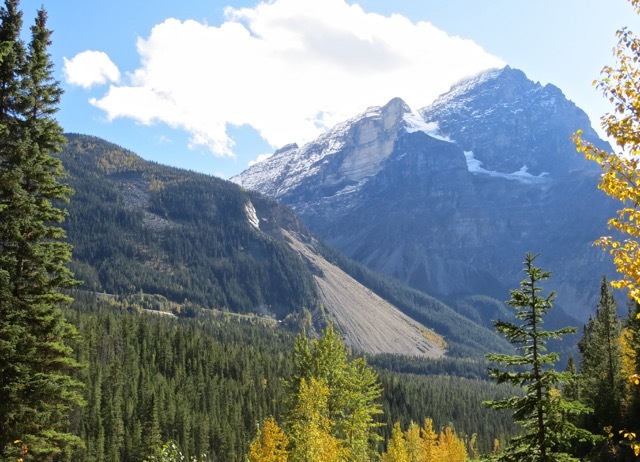 Unlike other lush mountainsides, this large patch of rock fall stood out. Upon investigation, we found out this was the engineering marvel Spiral Tunnel built in 1909. Audacious engineers built two circular tunnels in the mountain for trains to negotiate and descend 1,000 feet in a short distance. 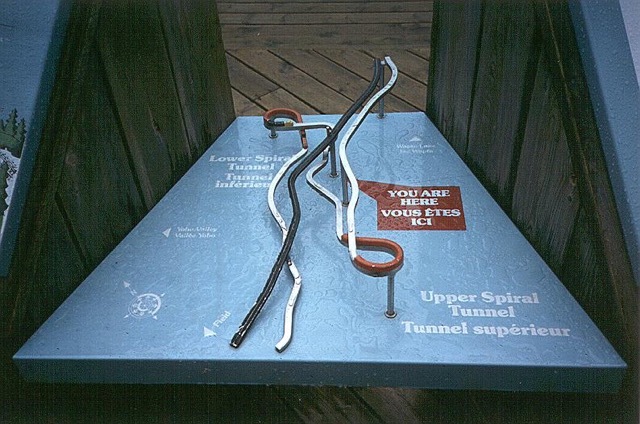 This model demonstrates how the railroad doubled up on itself by making double U-turns in two circular tunnels. The white parts are the railroad that sat on mountainside and the red parts are tunnels embedded in the mountain. This video shows the head of a long train traveling dozens of feet above the tail in the opposite direction. The midsection of the train was crawling inside the mountain. 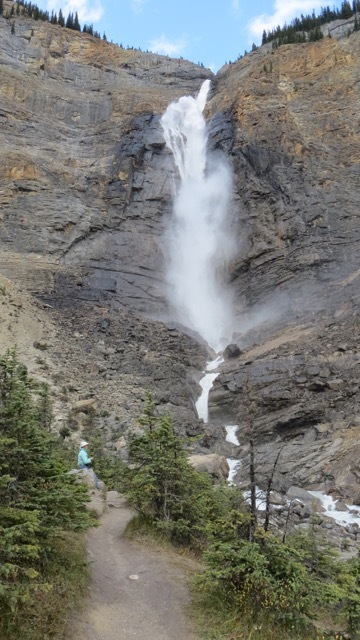 Sally meditated under a furious waterfall of glacial runoff. 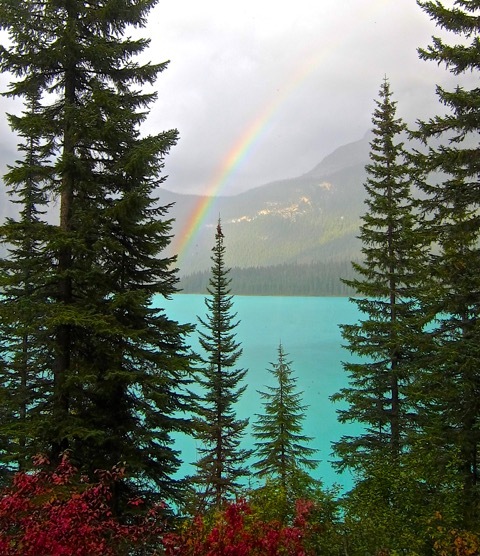 We ate dinner by a turquoise lake, serenaded by a rainbow. The hotel room had a wood burning fireplace. It was cozy to toast our feet in the chilly night. The next morning, we had rain and the sceneries became shades of grey again. 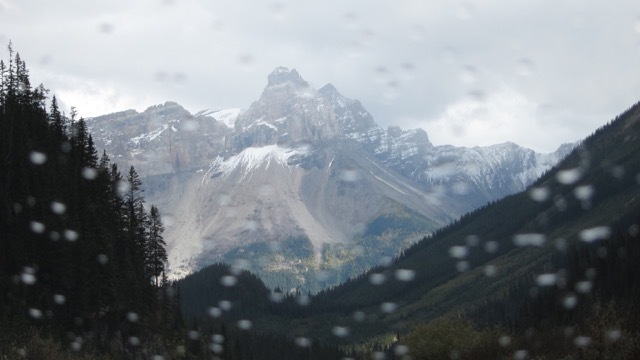 The mountain peaks were still spectacular through the rain splattered windshield. The rain helped erode this mountain and contributed to the massive rock fall. 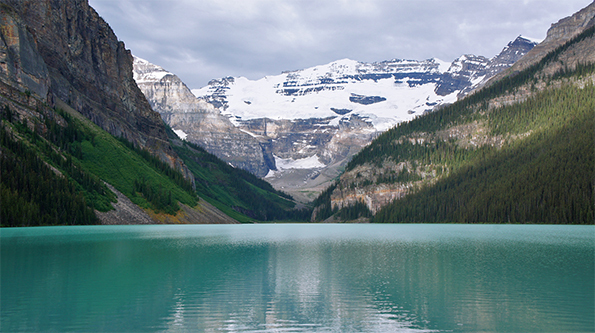 We looked forward to visit Lake Louise, the iconic beautiful lake in Canadian Rockies. This lovely scene was what we expected to see. 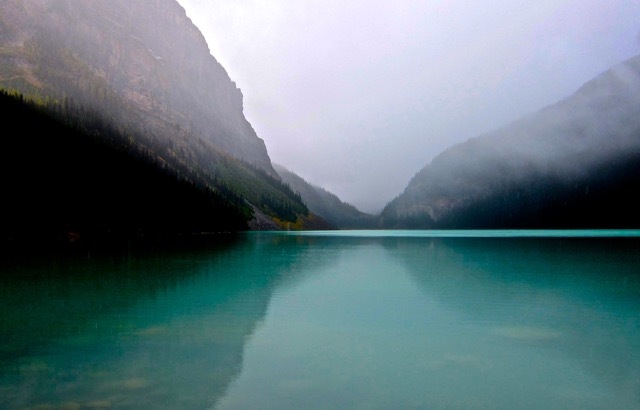 But when we arrived Lake Louise in the rain, we were disappointed to see this scene instead. Bummer. Posted by Robert Wu on Sunday, September 25, 2016, at 8:53 am. Filed under Uncategorized. Follow any responses to this post with its comments RSS feed. You can post a comment or trackback from your blog.